As drugs, biologics have several advantages over small molecules. Biologics are very target-specific and their side-effects are mostly related to exaggerated pharmacological effects, whereas small molecules are more prone to induce harmful non-target effects. Biologics hold much potential for many therapeutic areas and they have already proven their value by revolutionising treatments of several serious illnesses. As an example, rituximab (chimeric monoclonal antibody) has significantly improved the prognosis of non-Hodging lymphoma in this century. The term biologics covers diverse selection of compounds with biological origins, e.g. peptides, nucleic-acid-based compounds, cytokines, replacement enzymes, various recombinant proteins, and monoclonal antibodies, and each of them have their own specific properties. For example, the half-life may vary from couple of minutes up to several weeks in peptides and anti-bodies, respectively, and the challenges in their bioanalysis vary, some being simpler and more straightforward to quantify compared with the others. The development of biologics and the tools to investigate their ADME properties are very different compared with traditional, low molecular weight drugs. As with any compound in drug development, the safety and efficacy of biologics have to be demonstrated and clarification of their ADME properties is a critical part of the process. With biologics, their structural characterisation is more complicated than with small molecules, but a very essential part of the development and quality control. Quantification of biologics from biomatrices has been a challenge and various antibody-based assays have been been used to address this matter. For example, ELISA is a robust, sensitive and efficient tool for protein quantification, but requires the development of protein-specific antibodies, which can be quite time-consuming. The advances in analytical techniques have enabled applying LC/MS technology also for biologics, making their bioanalysis more straightforward, precise and selective and removing the absolute need for antibody development. The major differences between the biologics and small molecules are summarised in the table below. In general, biologics don’t fall into the Lipinski rule-of-five criteria and hence, their ADME properties are often poor and oral delivery route remains practically unattainable for the moment. Biologics are large (high MW), often hydrophilic with varying stability and have heterogenic physicochemical characteristics, which cause some challenges to their use as drugs. Their membrane permeability and distribution are rather limited and thus reaching the site of action may be challenging. However, the permeation can be facilitated by active transportation, for example, by neonatal Fc receptor in the case of IgG. Fortunately, the issues related to the challenging drug-like and ADME properties of the biologics may be overcome by different delivery technologies. Yet still today, biologics are most often delivered using invasive parenteral administration routes, e.g. by subcutaneous injections. In general, hepatic enzymes, mainly CYPs, mediate the majority of drug metabolism of small molecules, followed by conjugative reactions and metabolite excretion to faeces or urine. The metabolism and elimination pathways of biologics are more diverse, including target mediated drug disposition, lysosomal degradation, Fc mediated clearance and ADA (antidrug antibody) mediated elimination. Biologics can be metabolised by myriad types of proteases, nucleases and peptidases that are abundant in various tissues, and liver is not the major metabolising organ. For smaller proteins and protein fragments, renal filtration is an important route of elimination. To summarize, the metabolic stability studies, commonly performed for small molecules with hepatocytes or liver fractions, won’t usually provide adequate data for biologics, except for peptides. The common preclinical ADME studies with small molecules include extensive in vitro research e.g. investigating physicochemical properties (solubility, lipophilicity, protein binding), permeability, metabolic stability and metabolite identification, metabolism-based drug-drug interactions, role of drug transporters, PBPK modeling, and finally in vivo PK studies. In general, the palette for generally accepted in vitro models for biologics is still relatively scarce, due to their unique properties and mechanisms of action. With biologics, the relevant ADME-research may include, e.g. molecular weight and structural elucidation (including degradants, isoforms etc. ), determination of active isoforms, FcRn binding, immunogenicity assessment, biomarker measurements, ADA evaluation, binding to blood components, in silico predictions, PK/PD and extensive in vivo research e.g. with various imaging techniques. 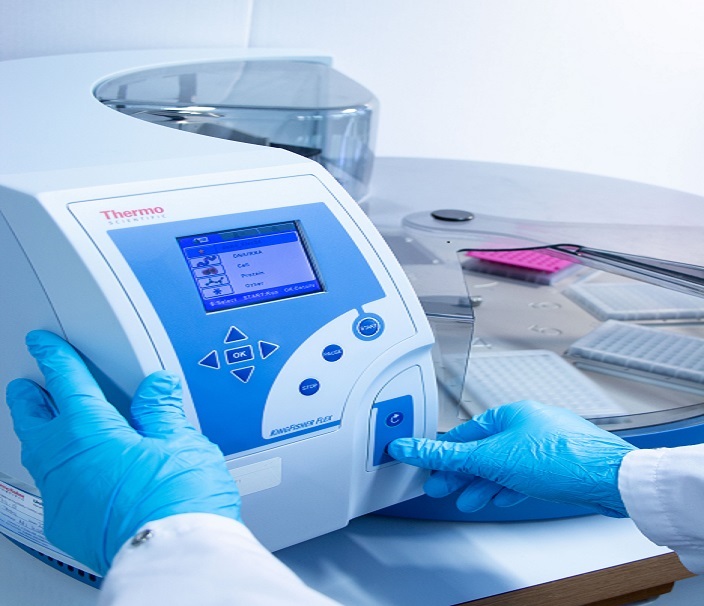 In bioanalysis of the PK samples, the analytical method is of importance for biologics detection from the complex biomatrix. Interaction studies should be considered case-by-case as some therapeutic proteins may potentially inhibit CYP-enzymes although their potential for PK interactions with small molecules is less likely, as their metabolism is not mainly dictated by the hepatic enzymes. In summary, the investigations needed for biologics vary from case-to-case, uniform guidelines do not exist and also the authorities identify the methodological challenges. Due to the increased drug development activities around biologics, many CROs are offering their help to biotechs and pharma companies by providing research services for biologics. As in every other research, it is essential not only to have the state-of-the-art analytical instrumentation, but also highly competent scientists for planning and executing the studies and analysing the data. One of the roles of a high-quality CRO is to provide up to date information to help understanding the science behind the ADME studies and the relevance of the experimental settings and methods. If you were not already familiar with biologics, hopefully reading this has given you a general idea how huge the difference is between biologics and small molecule drugs. There is so much more to learn about this topic, which we will elucidate later in more detail! Summary of the general characteristics of biologics and small molecule drugs.